This month's Art Spotlight is featuring some of the amazing artists that I met at MoCCA Fest this past weekend. These are only a few of the talented artists in attendance at MoCCA, but they truly made an impact on me. 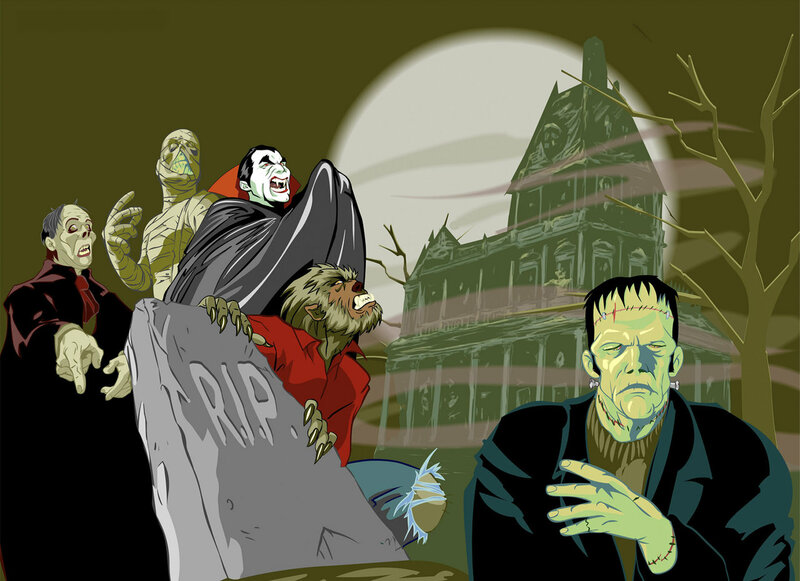 This is Classic Hollywood Monsters from a fellow volunteer, Savark Dicupe. I wish I had realized how talented he was when I was working with him; I would have pressed him for more art to post! 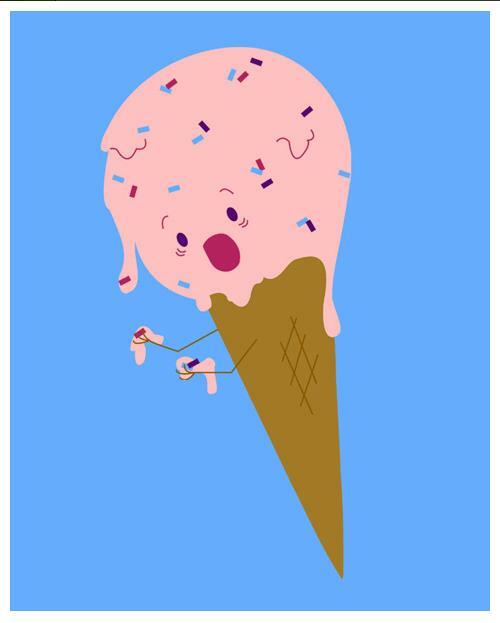 Amy Lynn Duengfelder makes amazing jewelry, which I purchased at MoCCA, but she also creates great, happy, twisted artwork like this Ice Cream Cone. Remember that guy who asked me about caffeine? 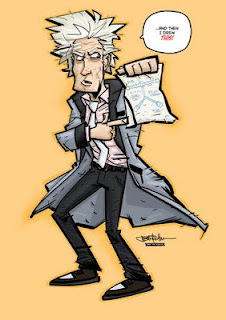 Well, he is actually Greg Houston, creator of Vatican Hustle and Elephant Man from NBM. 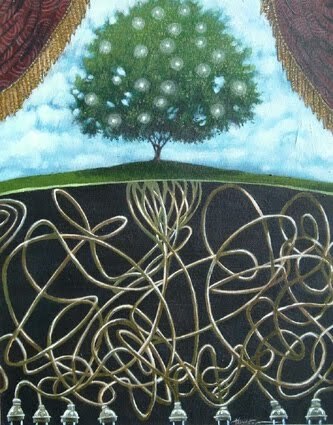 After going through his site, this Electric Tree kept appearing on my screen. Just love it! Justin Peterson, creator of Very Near Mint, had a lot of fantastic work out at MoCCA, but this just stood out on his website. 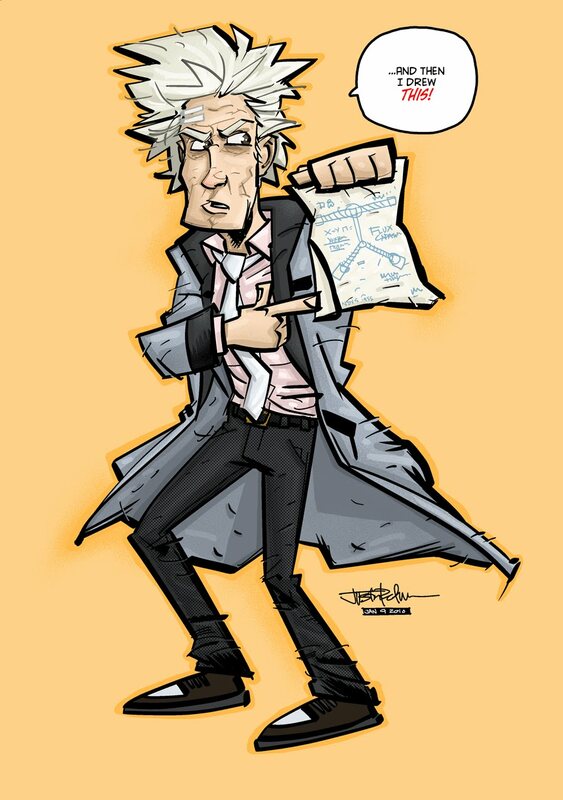 Who doesn't love some Doc Brown? Did you see any fantastic art that I should share in the next Art Spotlight? Email me at insertgeekhere@gmail.com.